Landmark Vineyards, a premier producer of luxury Chardonnay and Pinot Noir, has released the 2015 vintage of its Overlook Chardonnay, marking the wine’s 25th anniversary. The iconic Chardonnay is widely credited for establishing Landmark’s reputation and embodying the winery’s approach to luxury winemaking. To commemorate this special anniversary, Landmark Vineyards will add a 25-year gold emblem to its distinctive and elegant label and add new Overlook-focused offerings to its guest experience. The Overlook Chardonnay, sourced from its own estate vineyards in the Russian River Valley, as well as from its growers’ vineyards throughout Sonoma County, is an artfully selected blend of grapes that captures the best that California can produce in any given year. Since its first vintage was released, the Overlook Chardonnay has been dedicated to producing luxury Chardonnay using hand-picked fruit, native yeast fermentations, and ageing in top quality French oak barrels to create beautifully expressive and balanced wines. Today, thanks in large part to the Overlook, Landmark continues its unwavering commitment to quality. Throughout its 25-year history, the Overlook Chardonnay has brought worldwide attention to Landmark Vineyards by consistently receiving high ratings among critics and wine lovers alike. The 1994 vintage of the wine earned 90+ points from The Wine Advocate, marking the first time in its long run of consistent reputable scores. The following 1995 vintage of the wine broke into Wine Spectator Magazine’s Top 100 Wines in the World list in 1996, the first of six times it has appeared on the list. Most recently, the 2014 vintage was listed for the first time in Wine & Spirits Magazine’s Annual Restaurant Poll as the #10 Most Popular Chardonnay. Starting in August, the new release of Overlook Chardonnay (SRP $25), featuring its special 25-year gold emblem label, will be made available to select retailers and restaurants nationwide. 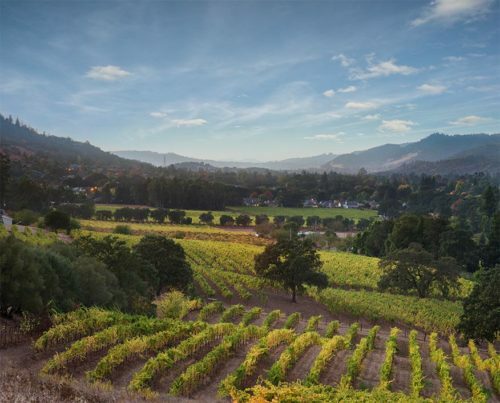 In addition, Landmark will offer a special “Overlook Exploration” tasting that will showcase the limited-production single vineyard components of the blend to guests at the recently-renovated VIP Tasting Tower to coincide with its summer event schedule. Castellroig Cava Brut Rosat Recognized on Broadway Buzzed!